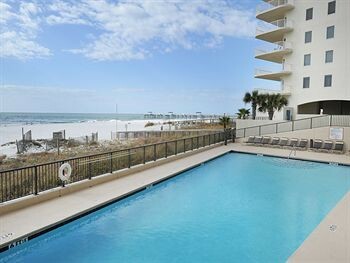 Property Location When you stay at The Palms by Wyndham Vacation Rentals in Orange Beach, you&apos;ll be near the beach and convenient to Orange Beach Indian and Sea Museum and Orange Beach Art Center. This beach condominium resort is within close proximity of Adventure Island and Orange Beach Welcome Center.Rooms Make yourself at home in one of the individually decorated guestrooms, featuring kitchens with full-sized refrigerators/freezers and stovetops. Rooms have private balconies. Complimentary high-speed (wired) Internet access keeps you connected, and DVD players are provided for your entertainment. Conveniences include microwaves and coffee/tea makers.Rec, Spa, Premium Amenities Take advantage of recreational opportunities offered, including an outdoor pool, an indoor pool, and a spa tub. Additional features include supervised childcare/activities, a picnic area, and barbecue grills.Business, Other Amenities Featured amenities include complimentary high-speed (wired) Internet access and an elevator (lift).